Whether it’s for home improvement or DIY projects, you would want to make sure that you have the best tools and equipment. Investing in tools for your home will help you get your projects done efficiently and effectively. To help you out, we’ll show you the top 3 essential tools that every handyman needs, as well as how to purchase one. 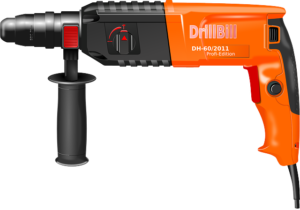 This is the mother of all power tools, the essential of essentials! With a good corded drill, you, can drill anything without wasting time or a lot of energy doing so. And trust us when we say that a LOT of projects require drilling at some point. You’ll want to make sure that the corded drill you get has strong power that can drill even the most major of projects. There are 9.6 to 18V available. To be able to purchase the right corded drill for you, consider the projects you’ll be doing; and if it needs more torque-spinning strength for resistance. Also, how fast will you need it to be? Low speeds are great for driving screws, while high speed ones would be great for drilling holes. An air hose is a major component of air compressors, which is used to provide more power to tools and equipment through pressurized air. 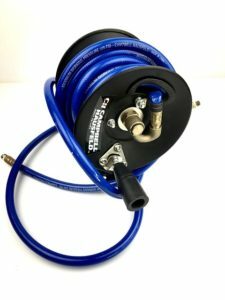 While the air hose comes with the compressor, many handymen choose to upgrade it for a much stronger one, or as a replacement. A retractable air hose is straight and easy to wrap, while a coiled air hose is twisted but can shrink easily to a small size. Make sure it’s long enough to accommodate your tools. Rubber – It’s the common material for air hoses, best for home air compressors. Nylon – This is used for air brushing, not so much for tools that require high pressure or for industrial purposes. It’s also affordable and lightweight, but still durable. PVC – These are usually used for painting or inflation. They are flexible and one of the most affordable of all types of air hose material. It’s usually used with small air compressors. Polyurethane – This is used for high pressure and when you want to use it for long periods. They are one of the strongest materials, as it’s water resistant and durable enough to take extreme temperature. From the name itself, a framing hammer is used for framing wooden structures. They are heavy-duty hammers with longer handles and extra weight, providing more power and strength. A framing hammer is beneficial for many projects, as it provides more inertia when driving nails, and gives off more leverage and control of force when using it. While it isn’t used for ALL types of renovation projects, they are an essential if you need something strong and durable when applying walls or other types of materials. There are framing hammers that weigh 23 to 28 ounces, so if you are a heavy set fellow who can exert force, then the heavier one is better. It depends on your size and capabilities. The material should be strong and durable enough to last for years. Its handle should have a good grip as well, which is why it’s best to test its performance before making your choice. You will need to test out the hammer and how it feels in your hands before choosing the brand you will invest in. Is the right enough for you to exert force? Will the curved face remove curved nails properly? Look after how well it can be used when under pressure or for heavy projects. With the many types of equipment available to invest in, which ones are the ones needed? 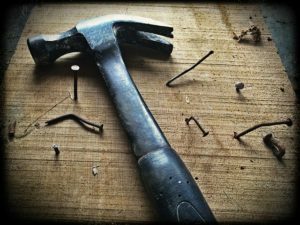 Hopefully, this article on the essential power tools will have helped you become more knowledgeable on these tools and what you need in order to know what brand and model to invest in. You can find any of these power tools and accessories from reputable online shops or in local hardware stores near you. So what are you waiting for? Start doing your research and invest in the best tools today! We hope you enjoyed the article! If you have any suggestions or thoughts on it, then do comment down below. We would love to hear what you have to think.